Newlyweds will adore this dainty set of flute glasses which can be personalised for the happy couple. A contemporary yet classic design featuring ornate swirls makes for the perfect gift. 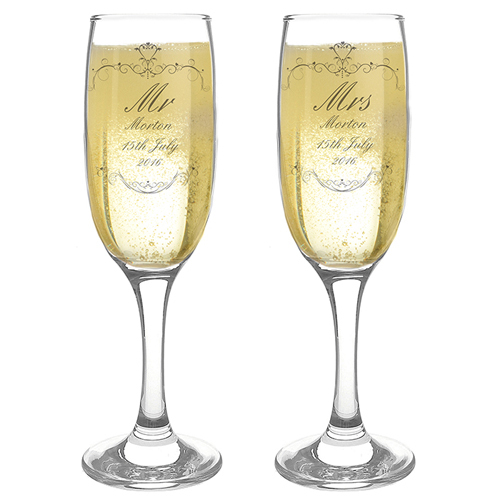 The flutes can be personalised either with Mr & Mrs/ Mr & Mr or Mrs & Mrs with the couples surnames and date. Personalise either with Mr & Mrs/ Mr & Mr or Mrs & Mrs with the couples surnames and date.